I want to write about a topic very close to my heart, of Phupo Love. Phupo is a word in the Urdu language for an aunt, who is your father’s sister. Due to the richness of the Urdu language we have a different word for all relations, so Phupo is specifically and only used for this relationship. This word has taken a negative connotation and is used to describe a relative who is conspiring, evil and a trouble-maker. I feel hurt whenever I read such jokes because I love my Phupos, love being a Phupo and love the Phupos of my children. I understand that everyone has had different experiences with Phupos. While I was lucky to find love in this relationship, others might have experienced mistrust, criticism and disdain. However like anything else in life, stereotyping is unfair and wrong. Phupos can be indulgent, friendly and doting. Not all Phupos are evil. Children usually inherit the relationship with their Phupo based on how their mother gets along with her sister-in-law. If there is competition and mistrust, children form their own relationship with their Phupo based on what their mother tells them (forgetting that sometimes Khalas do the same things too). Only wise mothers realize that irrespective of their own relationship with their husband’s sister, the relationship of a Phupo with her nieces and nephews is an independent one. Children are not emotionally intelligent enough to separate facts from feelings when their mom talks infront of them about how Phupo acted that evening. It’s best not to talk about other people infront of children (and set a good example of not gossiping). Adults have complex relationships, but children are not equipped to identify the subtleties. It’s important to let your children form an independent relationship with their Phupo because family is strength. By giving your children a balanced view of all their relatives from both sides of the family, you give them a gift of a simple childhood, a sense of fairness and a confident identity. My dadi (paternal grandmother) would always say that: “Phupi bhateeje eik zaat“. It’s an old saying with a deep meaning that the phupo and niece are from the same family. Girls are usually the carrier of traditions in families. They are the ones who pass on the stories, recipes and heirlooms. 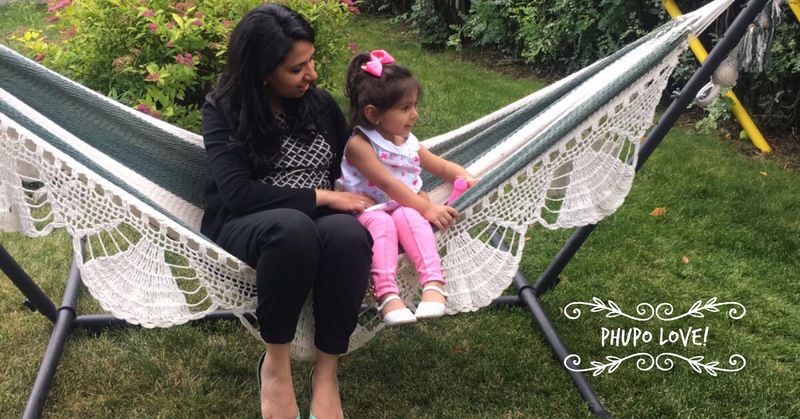 A loving Phupo can pass on the unique family traditions to their nieces and ensure that they continue and thrive. I love it when my childrens’ phupos identify traits in them that they get from their father’s side of the family. I love chatting with my phupos and learning more about my family. My mother is always most delighted when people identify her as the niece of her phupi Sahab Qizilbash. If you want to be an involved Phupo, maintain a healthy and positive relationship with the mother of your nephews and nieces. All families are different and just because your sister-in-law does things her way, it does not make her wrong. Stop making constant comparisons. Recognize that your brother is married and has a family of his own. Stop reminding him how he has changed. Life is all about change. Embrace it. In order to be heard and respected, learn to become a good listener yourself first. Never discuss your sister-in-law in her absence, not with your mother, not with your sister, no one. If you have to make an assumption, make a positive one. While you might only see your own family in your nephew and nieces, do look harder and compliment your sister-in-law about traits from her family and her hard work with the children. Give gifts with an open heart and don’t bombard your sister-in-law later with: “pehnaya kion nahi” (why aren’t the kids wearing it). Do you have a loving Phupo or do you love being one yourself? Do share the stories! Love hearing from you. Great read and so true. I have MashaAllah 6 adorable phupos and I am proud of them. I totally agree with the root problem why phupos are considered to be negative. My mom has always appreciated my phupos and may be that’s the reason why I have such a strong relationship with them. Great post! My phuphoo passed away a year before I was born so I didn’t get a chance to meet her. I grew up hearing stories about her and my parents made sure I knew her, infact they named me after her so apart from DNA we also share our name. My parents are cousins and my nana nani were quite close to my phuphoo as well. When ever I was eating my nana would always say ‘waisay yeh genes kya cheez hain’ implying that the way I ate was exactly like her. I really wish I had gotten a chance to meet her especially when I see how close my mum is to her brother’s Daughter.